Mouse anti Listeria monocytogenes antibody, clone LZH1 recognises intact Listeria monocytogenes cells and outer membrane fraction detecting a protein of ~37 kDa by western blotting. Mouse anti Listeria monocytogenes antibody, clone LZH1 has also been shown to cross-react with L.innocua and L.ivanovii. Purified IgG prepared by affinity chromatography on Protein G.
Listeria monocytogenes, outer membrane fraction.  This product is suitable for use as a coating antibody in a sandwich ELISA, with 0400-0027 as the detection antibody. 0400-0030 detects a band of approximately 23kDa in reduced blots of cell fragments. Marusov, G. et al. (2012) A microarray biosensor for multiplexed detection of microbes using grating-coupled surface plasmon resonance imaging. Environ Sci Technol. 46 (1): 348-59.